sailboat. 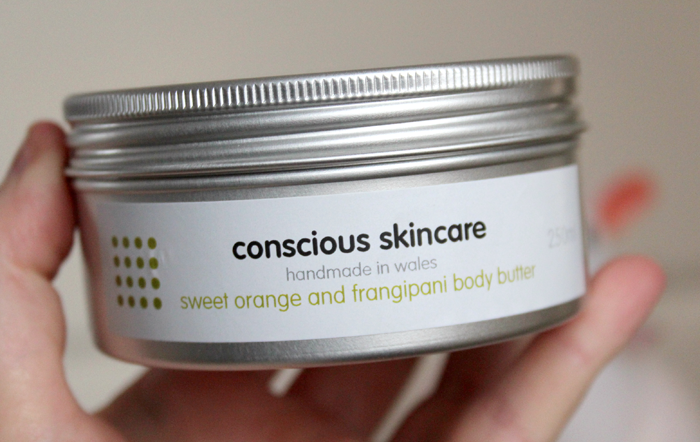 : Conscious Skincare Sweet Orange & Frangipani Body Butter : A Lovely Friday Evening Treat! Conscious Skincare Sweet Orange & Frangipani Body Butter : A Lovely Friday Evening Treat! Organic coconut oil, organic shea butter, organic sweet almond oil, organic fair trade cocoa butter, organic sunflower oil, beeswax, vitamin e, sweet orange essential oil, frangipani essential oil, agonis fragrans essential oil, sandalwood essential oil. Hooray, we've made it to Friday! This hasn't been the best of weeks and unfortunately my weekend will be spent essay writing, but I'm thrilled that it's finally (almost) here nonetheless. Tonight I've decided I have a date with my bathtub, a good book and this luxurious body butter! When I was emailed over a little bit of info about Conscious Skincare I was instantly taken with how much love and passion Rebecca Martin, the founder of the brand, puts into each and every one of her products. Every product is hand blended, truly organic & not tested on animals while being mindful of the environment - they even generate their own electricity and hot water using solar technology and there's just something very comforting and lovely about the brand, with their simple but beautiful packaging and website. It seems to me that they really let the ingredients they use speak for themselves and I like that. I was able to try out the Sweet Orange and Frangipani Body Butter and oh my goodness, it's possibly the nicest body moisturiser I've ever used! It has the most beautiful almost whipped consistency, it's super lightweight but still leaves my skin looking and feeling hydrated and silky smooth but not greasy. It melts a little as soon as it touches warm skin providing instant hydration, with a small amount going a very long way. When I first apply it to my skin it smells just like a Terry's Chocolate Orange (yummy!) before a touch of freshness begins to come through and leaves a beautiful soothing scent that lingers on my skin for hours. It's very comforting, especially just before bedtime. I was expecting quite a heavy pot but it's actually incredibly light and compact, which I love because it means I can travel with it very easily and I won't have to leave it behind. At £18.99 it's not the most affordable of body butters, but it's certainly not expensive and not overpriced considering how many lovely ingredients are packed into this pot. Have you ever tried anything from Conscious Skincare before? Does it sound like a brand you would like? Yay for Friday. And payday! 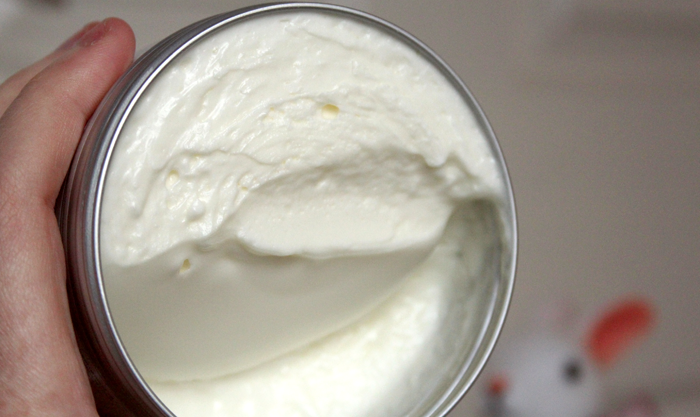 This body butter sounds gorgeous - I love the care that's gone in to making it. Ooh love the smell of Terry's Chocolate Orange, makes me nostalgic for childhood Christmases <3 This really looks divine. Haven't tried anything from Conscious Skincare before but it looks right up my street. I ave never heard of this brand before, but their ethos sounds promising. I have tried a similar bran though The Herbjar which have the same principle, and their products were divine.Nevertheless who wouldn't want to try smelling like a Terry's Chocolate Orange?! Although you said the price is a tad high, I feel the ingredients inside are well worth the price! Oh gosh, the consistency is like whipped cream and I bet it smells heavenly! I also love that it's organic, perfect for us kids with sensitive skin. I love organic products, this one sounds really lovely. I really like the packaging as well! Just by going on their website I want to buy everything! This sounds so lovely, anything with frangipani in; I'm a sucker for!